One reason I failed to attend the Diamond Jubilee in person was musical. Following my disappointment with accommodation in London I had made an appointment this weekend in Warsaw with an extraordinary phenomenon - a travelling professional harpsichord technician. As far as I know he must be the only such person in the world to approach this demanding task with the greatest stamina, enthusiasm and knowledge. 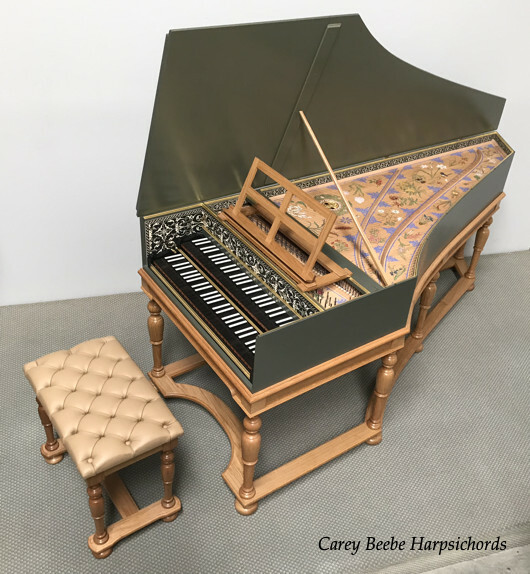 Carey Beebe is an esteemed Australian harpsichord builder who travels the world for four months of each year visiting places and instruments that do not have access to harpsichord technicians of the highest calibre. This may involve trips to Brazil, Panama, Thailand, France, Finland, New Zealand, China, the Netherlands, Malaysia, Argentina, Peru, Canada, United States and now Poland. He carries with him all the necessary tools to complete any repairs, restringing, voicing or other adjustments on site. Sometimes I feel only an Australian would have the spirit to conceive and carry out such an idea. 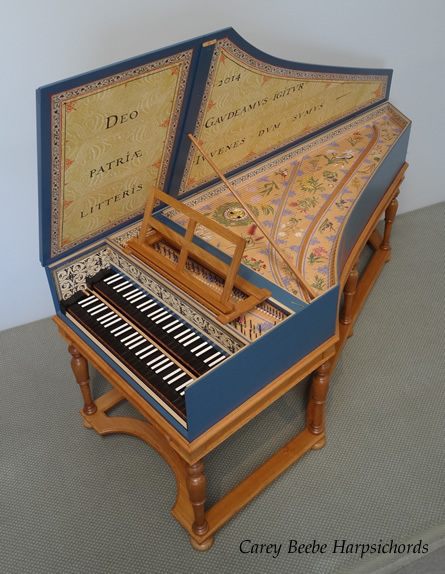 I have a fine and valuable copy of a two manual Flemish eighteenth century instrument by the original esteemed maker and inheritor of the Ruckers tradition, Johan Daniel Dulcken (1736-1769). The instrument was commissioned by me in 1978 in the Oxfordshire village of Duns Tew by the late great maker of guitars and luthier (superb viola da gambas and violins) David Rubio (1934-2000) and his team. At the time I commissioned it, the harpsichord cost as much as a small house. I gave a million English lessons in London to pay for it. The Rubio remained in my maisonette in Marylebone in London for 26 years before I moved to Warsaw in 2004. I treasure this instrument and play on it mainly Bach, the Couperins and Scarlatti. The instrument desperately needed some work as little had been done of any significant order since it was originally made - a few strings replaced, some delrin plectra. One cannot allow just anyone loose on such a valuable device with a new replacement value (actually an irreplaceable instrument now) in excess of 40,000 pounds. The expense of maintenance (shipping the instrument) to another country was considerable and not justified by my limited talents. And so I had put off proper maintenence for years. Carey Beebe could manage a side trip to Warsaw from Helsinki but only over the Jubilee weekend so with some reluctance I took advantge of this. The work was supremely professional from beginning to end and the instrument utterly transformed over two days. It feels as it did when I first took delivery all those years ago. Key dip was adjusted, registers that were binding severely were released, much revoicing of the various choirs was done with replacement plectra and other technical points covered. It was not an inexpensive operation (although he was generous towards me in terms of costs) but as Sir Henry Royce once said 'The quality remains although the price is soon forgotten.' or words to that effect. 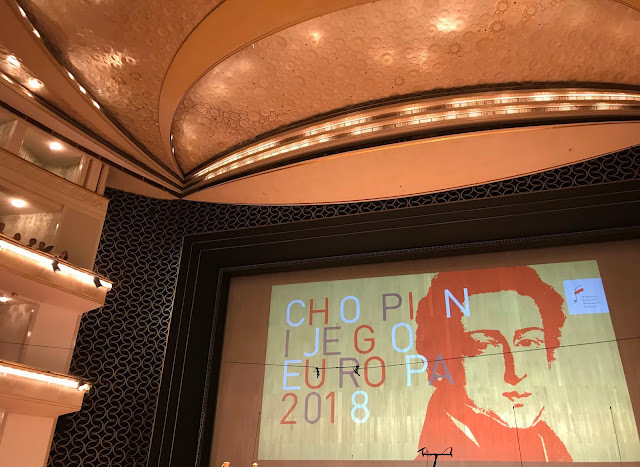 I was astonished that no harpsichordists in Poland showed the slightest interest in this rare visit despite knowing of it - well, it is their significant loss. 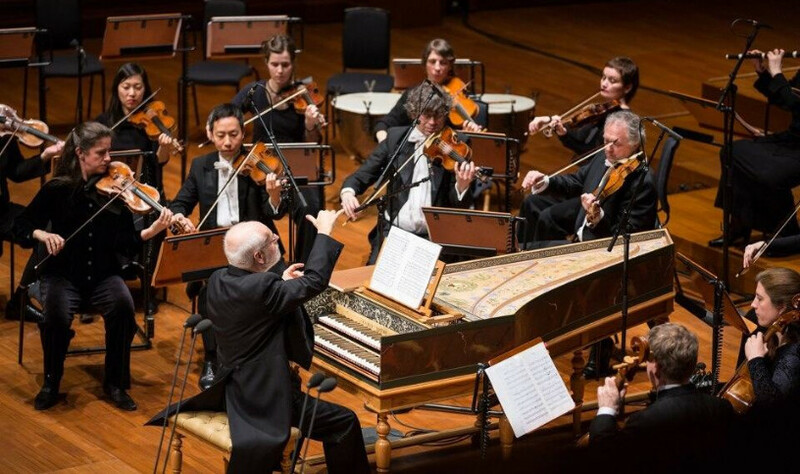 His website must be one of the most informative on harpsichords and their maintenance on the internet. 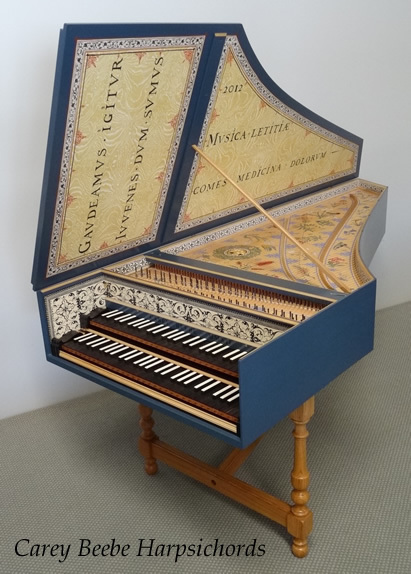 He has recently delivered a copy of a Ruckers Double harpsichord to the Royal Opera House, Muscat, Sultanate of Oman. His most recent report on the restoration of an early Challis harpsichord in Honolulu (of all places!) 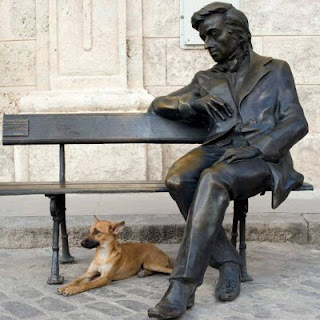 is an amazing tale. Such instruments were constructed with a quite different philosophy to 'historical' instruments such as mine. This interests me greatly as Edward Cahill, the concert pianist subject of the present biography I am writing, was one of the first recitalists in London in 1937 to perform on a Pleyel harpsichord of similar constructional philosophy. 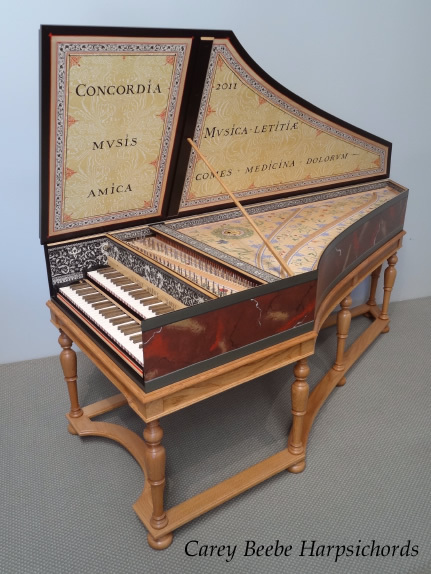 At present there is an increasing interest in 'Revival' harpsichords of this type, particularly for recordings of contemporary harpsichord compositions. We spent much of Saturday wandering in the gardens and Dworek at Chopin's birthplace at Zelazowa Wola, some 50 kms from Warsaw. We also visited the fortified church where the composer was christened at Brochow. A very pleasant conclusion to Carey's first successful visit to Warsaw. 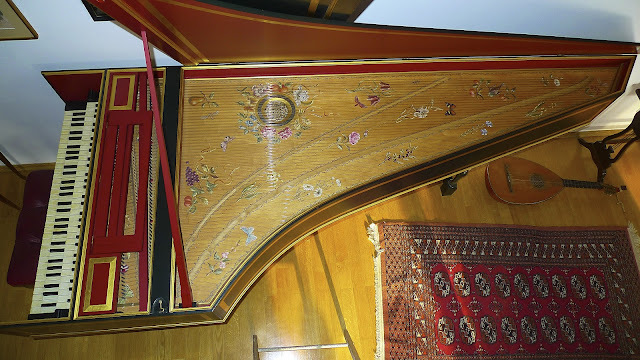 A fascinating project was the restoration of a 1773 Kirckman harpsichord once owned by Sir Chrles Villiers Stanford. Now the restoration is complete and here is an interesting interview with Carey and the sound of the restored instrument.